This afternoon a missionary friend visiting in my home talked about his website and how he wished he knew how to edit and update it. Someone graciously built the site for him, but has not made any of the requested changes for 2 years. Earlier today while reading at the original Missionary Geek website I read a post that Jeff wrote about TypeRoom. 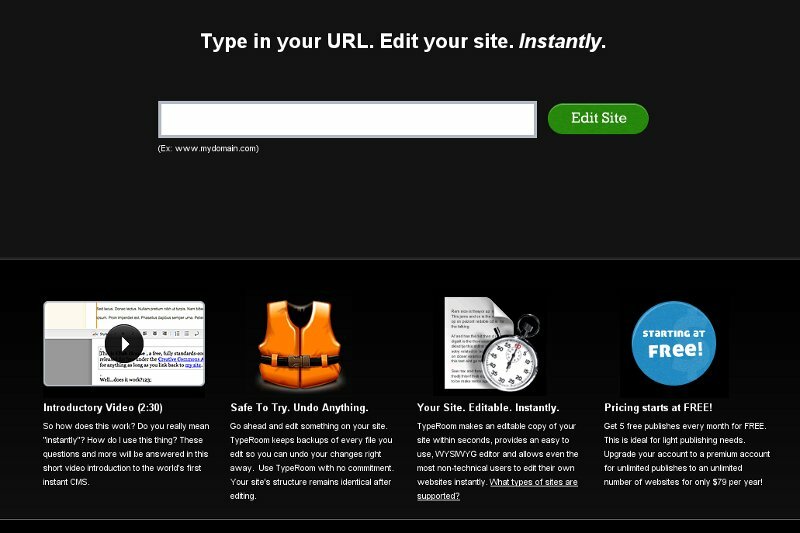 TypeRoom is a service that allows you to edit a static website using a non-threatening interface. Exactly what my missionary friend needed! TypeRoom works only on static HTML pages (not ones created through a site platform like WordPress). Without creating an account you can visit TypeRoom and see how the system works. If it will work for your needs you can create an account and make up to 5 free publishes a month. You input the login information needed to upload the changes back to your web host account. It makes a backup of every change you make so you can roll back to a previous version if necessary. While there are some types of sites that TypeRoom won’t work on, it may be just what you need to get your site up to date.